Frame Box section sloping twin-spar made of aluminium alloyTwo-chamber adjustable À–hlins Racing steering damper with one-piece mounting. 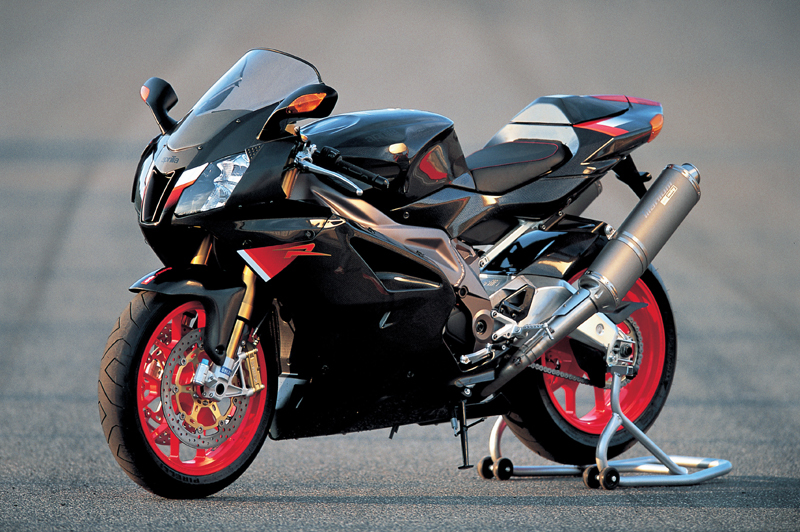 NOTE: On this page you will find ONLY Aprilia RSV Mille R Nera 2003 motorcycles specifications specifications and details. We don`t sell this product.